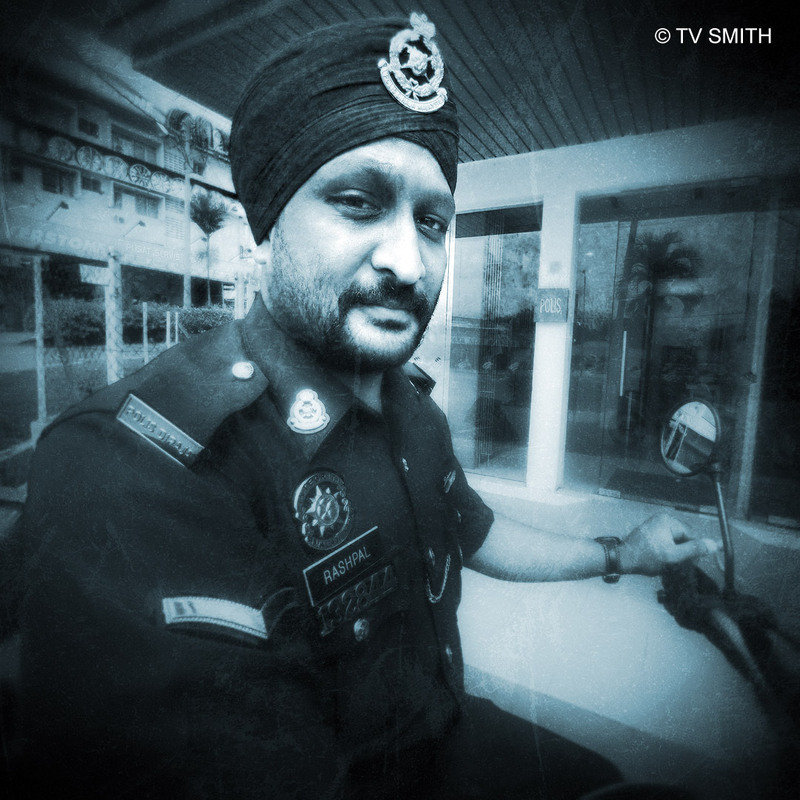 Emerging from the rainforest (see previous pic), I met policeman Rashpal Singh on the streets of Bentong. We had a very interesting chat about life in a small town. I asked him for recommendations for nearby off-the-beaten-track places to explore and the friendly cop pointed me to a very interesting location. Coming up in the next picture. Olympus OM-D, ISO 800, f11, 1/640 sec. This entry was posted in Geography, Instagram, Life, Olympus OM-D, Photography and tagged bentong, em-5, monochrome, olympus, om-d, pahang, portrait, punjabi, sikh, small town, street photography by TV Smith. Bookmark the permalink.